MTK-F32X3 is a customized SIM card dispenser that have 3 card hoppers adjustable to load either standard full or half-size SIM cards. 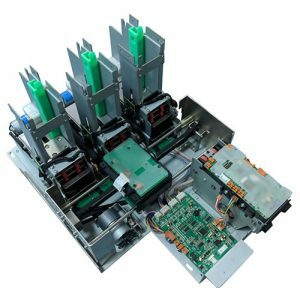 With 3 adjustable card hoppers, the machine is capable of distributing and vending SIM cards of popular sizes from various mobile operators. MTK-F32X3 automatically detects and adapts to different sizes of SIM cards and interchange carrier transfer cards from hopper to integrated reader for reading/encoding before dispensing. Each hopper has its capture box underneath for collecting retained or error SIM cards during dispensing or reading. The integrated chip reader is widely adaptable to various SIM cards and other popular memory, CPU cards under ISO/IEC 7816 (T=0 or 1). Also it’s a self-adaptive reader that can communicate from the shared RS232 or with a separate USB as a PC-linked PC/SC chip reader. With compact &robust design and easy to use software, the MTK-F32X3 offers target application for SIM card vending kiosk machines.